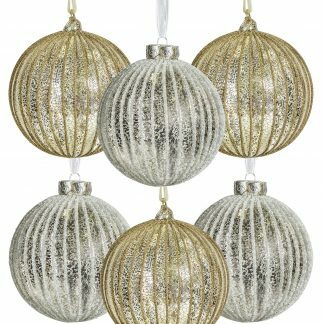 View cart “4″ Old World Splendor Ornament Set by Treetopia” has been added to your cart. 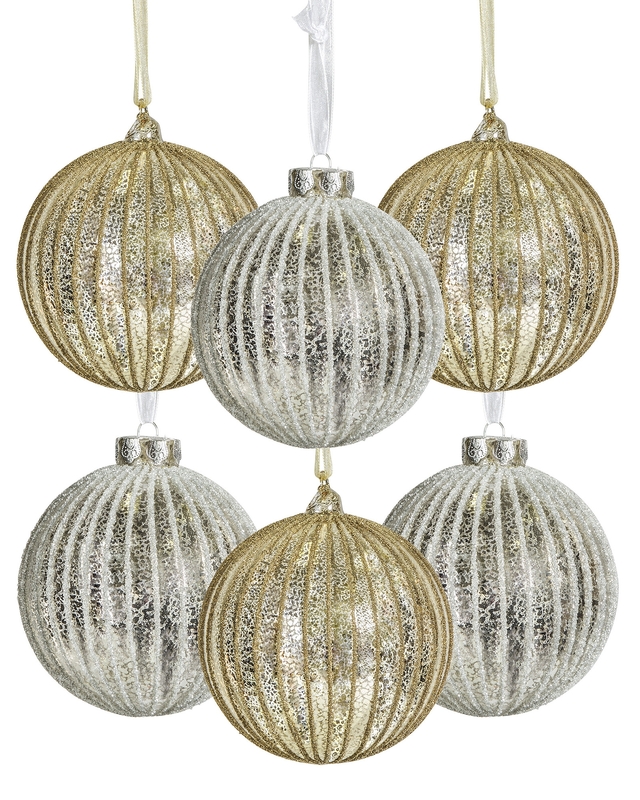 Create a striking holiday display with our Old World Splendor Ornament Set. Handmade from glass, each piece features an antique crackled glass look with beads of glitter all over. The shimmering effect from the silver and gold adds a stunning yet elegant touch, perfect for both classic and contemporary styles. 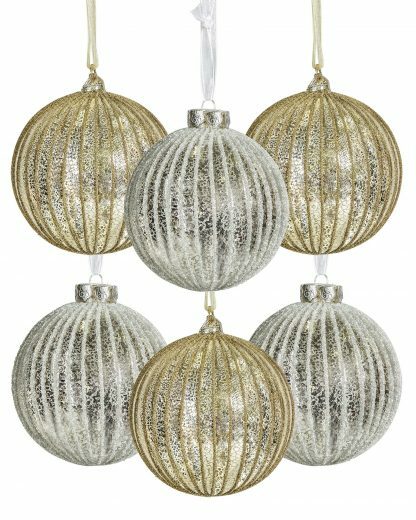 Pre-strung with pale gold ribbons for hanging, these exquisite ornaments create visual flair for any Christmas tree.